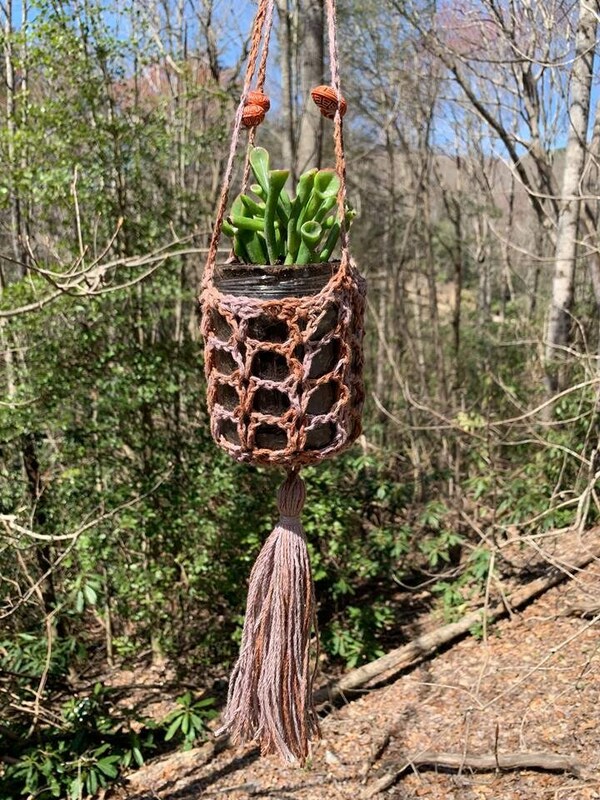 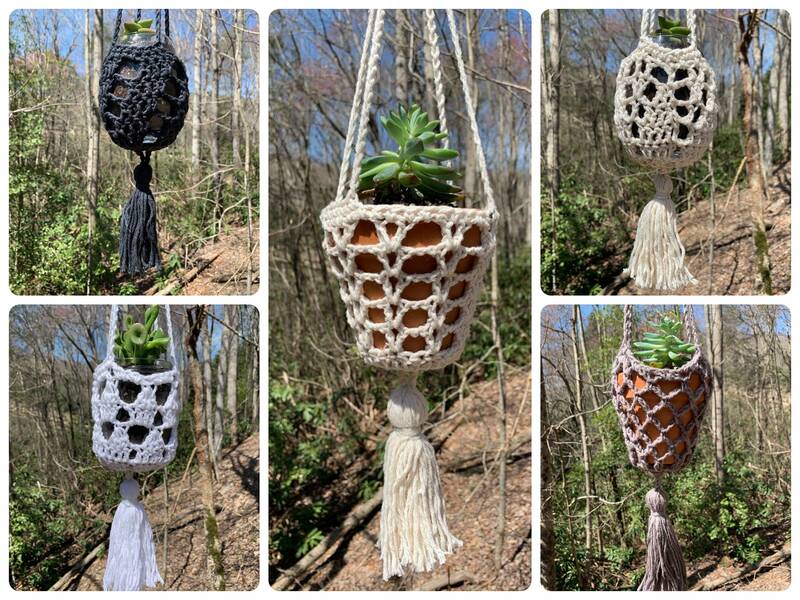 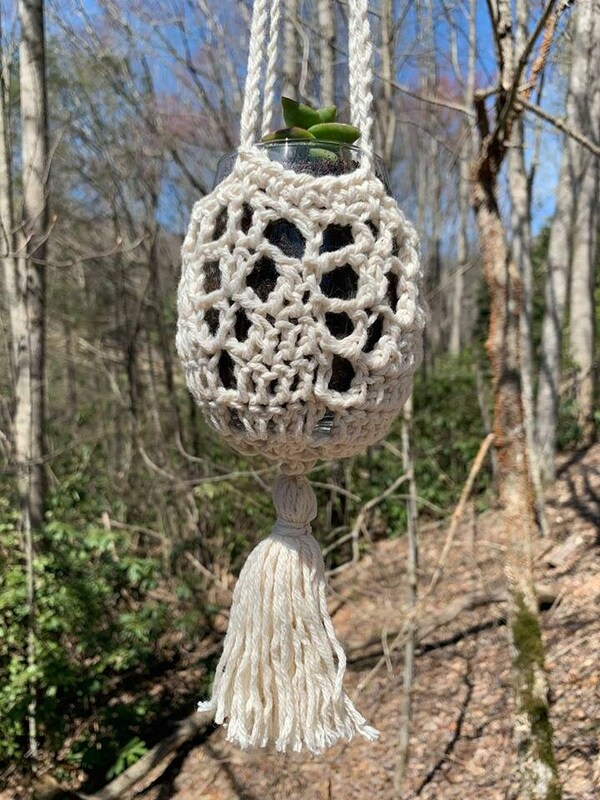 This pattern includes instructions to make all 5 of the hanging planter designs shown! 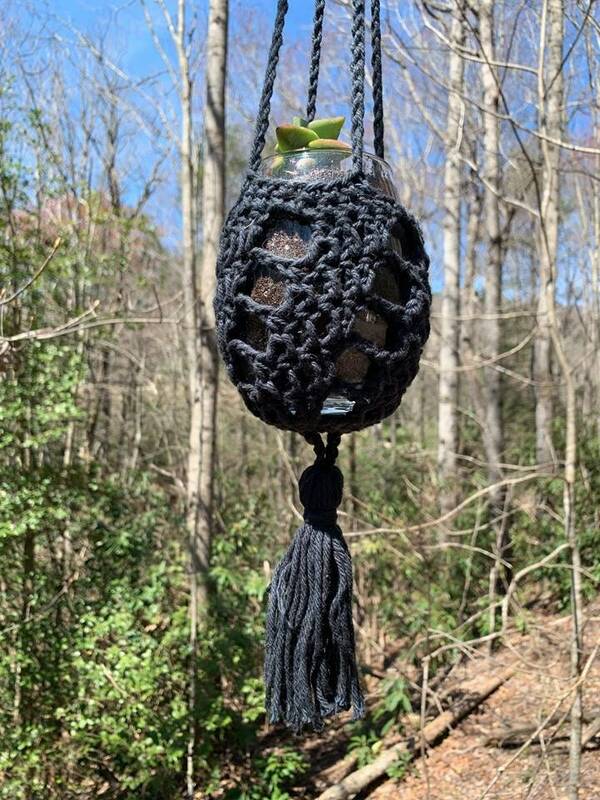 These are designed to fit small pots and plants. 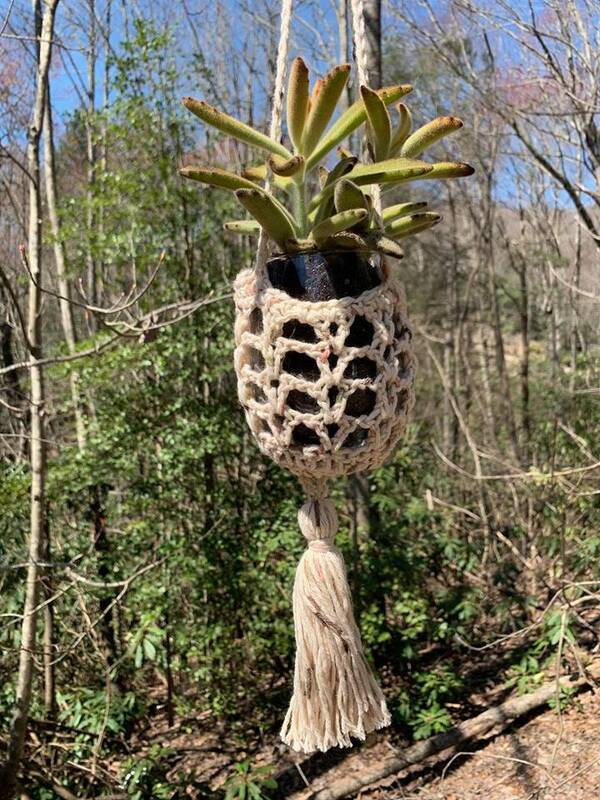 The hangers pictured have small clay pots, stemless wine glasses, and repurposed glass jars as planters. 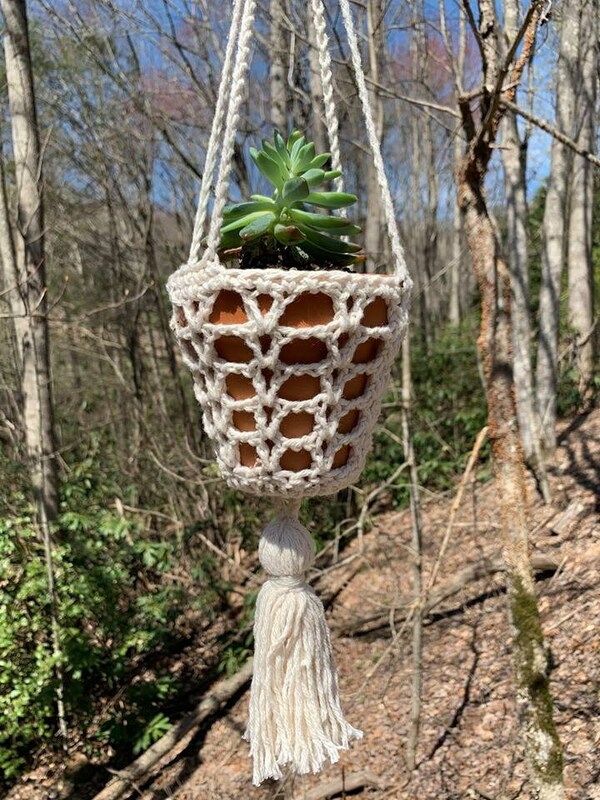 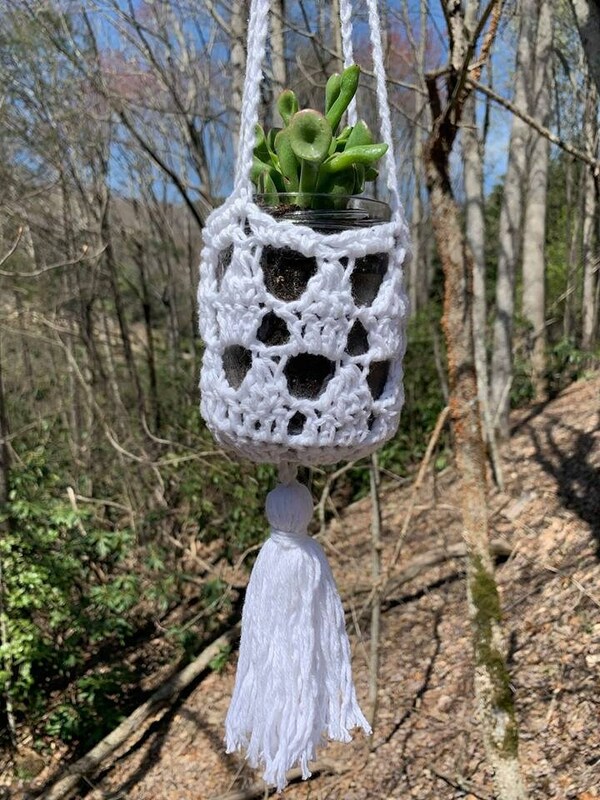 They are quick and easy to make and are perfect bohemian decor for any home!